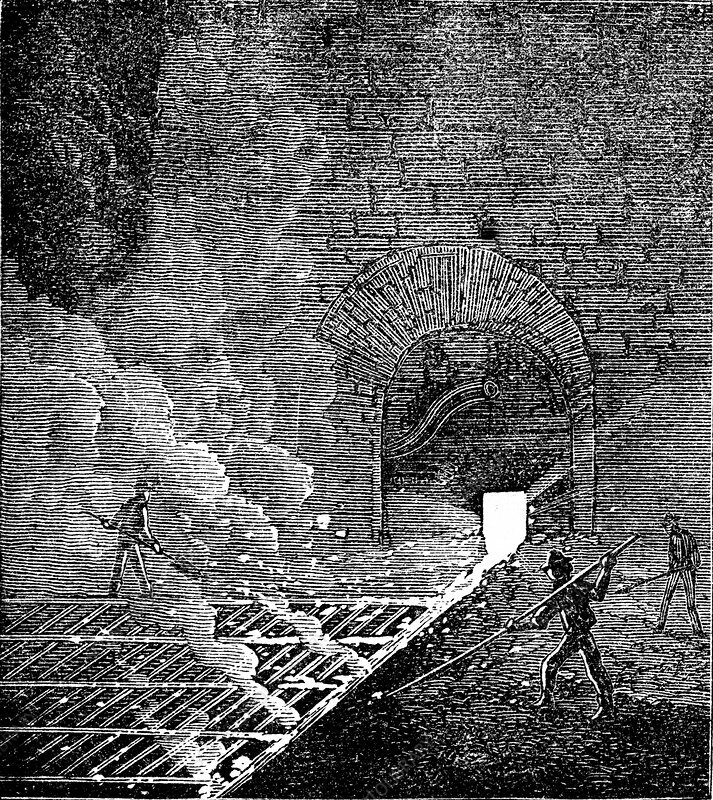 Pig Iron: tapping furnace and running molten iron into moulds to form pigs. Phoenix Iron Works, Phoenixville, Pennsylvania. From The Science Record, New York, 1873.